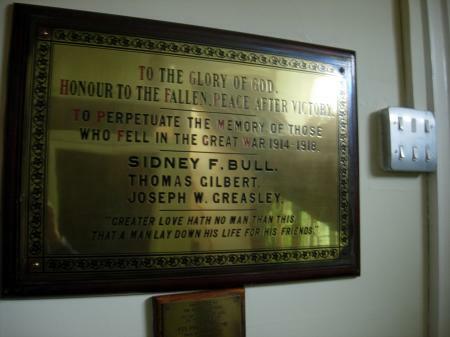 A Memorial to the fallen of the First World War with a smaller Memorial dedicated by the Sunday School. Private 6040 Sidney Feltham Bull of the 19th Battalion Australian Infantry died of wounds on the 9th October 1917 aged 28 years. He was the son of Edwin Feltham Bull and Annie Elizabeth Bull of Newton Lane, Wigston Magna, Leicester. 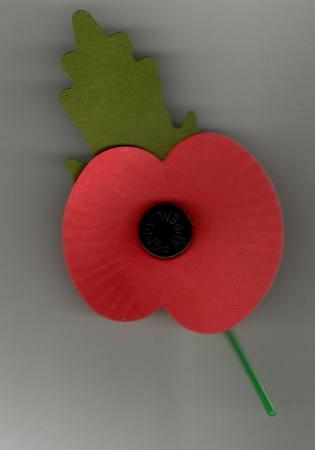 Private 2404 Joe Greasley of the 1st/5th Battalion Leicestershire Regiment died on the 1st July 1916. 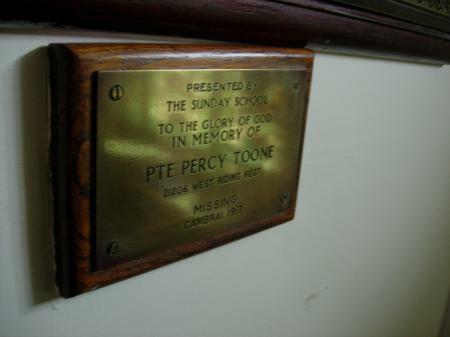 Private 21206 Percy Toone of the Duke of Wellington's West Riding Regiment was killed in action in the France and Flanders Campaign on the 21st November 1917. 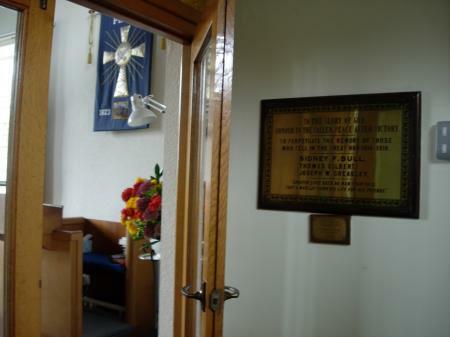 The Memorials are in the old entrance porch when access was through the door fronting Howe Lane.